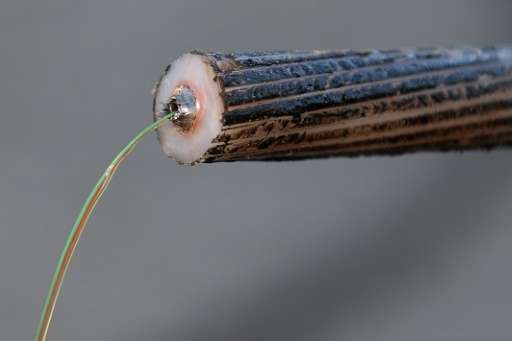 The 5,600-mile (9,000-kilometer) FASTER Cable System is aimed at meeting the growing demand for broadband Internet connections between North America and Asia. "From the very beginning of the project, we repeatedly said to each other, 'faster, Faster and FASTER,' and at one point it became the project name, and today it becomes a reality," said a statement from Hiromitsu Todokoro, chairman of the FASTER management committee. Built by Japan's NEC Corporation, the project was backed by China Mobile International, China Telecom Global, Global Transit, Google, KDDI and Singtel. Kenichi Yoneyama, project manager at NEC's submarine network division, said, "This epoch-making cable will not only bring benefits to the United States and Japan, but to the entire Asia-Pacific region." Singtel vice president Ooi Seng Keat said the new cable "provides continuous connectivity and sufficiently high capacity for cloud, video streaming, analytics and the Internet of Things, that will help spur innovation on both sides of the Pacific to stimulate the growth of the digital economy." The project was announced in 2014 with the cost estimated at $300 million. The cable lands in the US state of Oregon and two points in Japan, but also connects to hubs to boost connectivity to other locations in the United States and Asia.